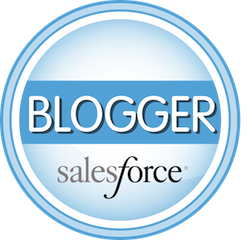 I had an interesting request from one of my clients today, and I thought the solution would be a great quick blog post for other Salesforce Administrators. The request was to enforce Users to create an Opportunity during the Lead Conversion process (for marketing reporting). 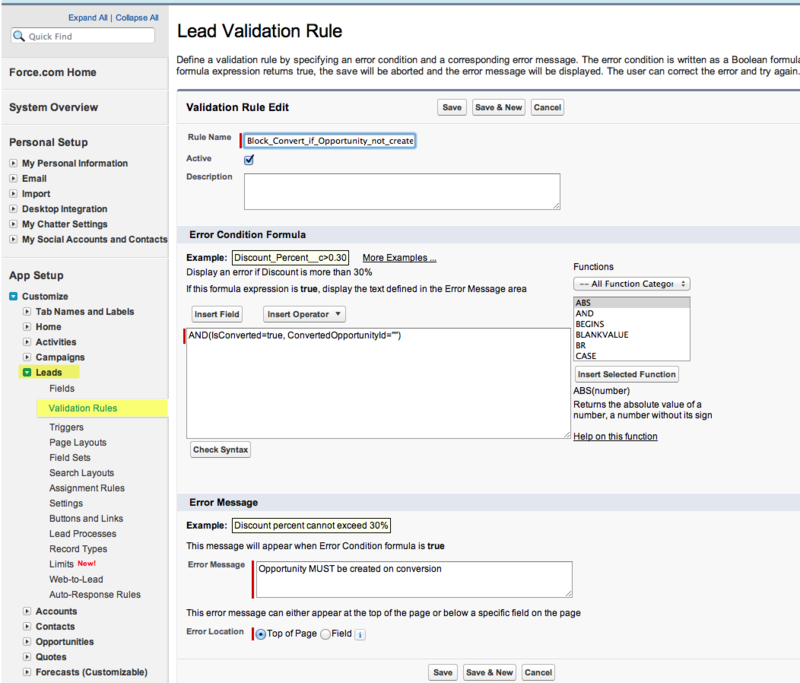 You can accomplish this with a Lead Validation Rule. Remember that when you write a Validation Rule, when the logic holds TRUE, you can block the record from being saved and display an error message. That’s it! A nice little tip to enforce data quality and compliance.